Update: CyanogenMod has an error in their blog post, where they say these nightlies are based on 5.0.1. They are actually based on 5.0.2. The first CyanogenMod 12 nightlies will lack some of the features the ROM is known for as work on Lollipop compatibility continues. Notable among those missing touches are the theme engine and all quick settings customizations, which are still being actively prepared for future releases. Some new, Lollipop-specific features from the Cyanogenmod team are on the way too, like a refreshed SMS app and ambient display tweaks. 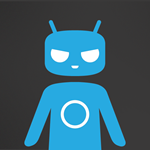 Those who are using CyanogenMod 11 can go ahead and flash 12 over their current ROM. Just keep in mind that if the bugs turn you off, you will have to wipe data to revert back to 11. Also, the update process will remove any user-installed apps that aren't compatible with Lollipop. Your precious Xposed modules will be long gone. At this point, the appeal will be more about Lollipop than CyanogenMod. Even with that said, the early state of development means you should stay away if you want stability. Nonetheless, this is an encouraging sign for those awaiting usable Android 5.0 ROMs for their devices. Not all the builds are up for download just yet, but several have appeared since I started writing this post. The rest are sure to come soon. Update 2: Nexus 6 has been added, not surprisingly since it was released with Lollipop. Still no Nexus 5 or Nexus 9 yet, though.